Seiko has remade the 62GS as part of its Grand Seiko Historical Collection, faithfully recreating the look and feel of the first ever automatic Grand Seiko first introduced in 1967. 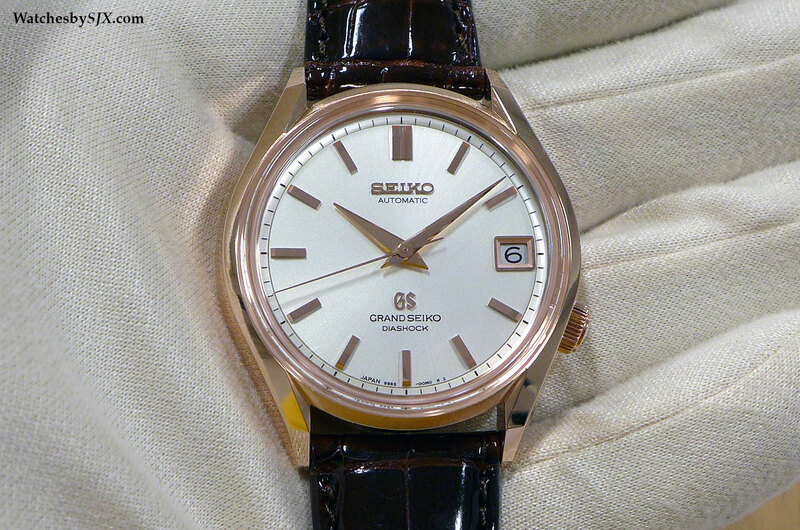 At Baselworld 2015, Seiko marks the 55th anniversary of Grand Seiko with the 62GS Historical Collection, modelled on the original of 1967. 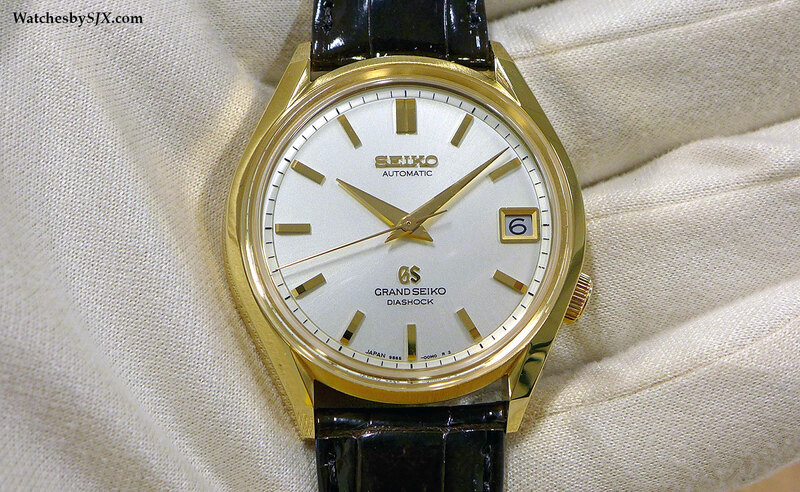 Distinguished by the crown crown at four o’clock (put there because it was automatic) and bezel-free case, the 62GS reissue is the fourth to join Seiko’s successful line of historical remakes, after the 57GS Self-Dater and 44GS. Though the 62GS reissue has several minor modifications relative to the original, it is a faithful enough recreation that it is hard to tell the difference. 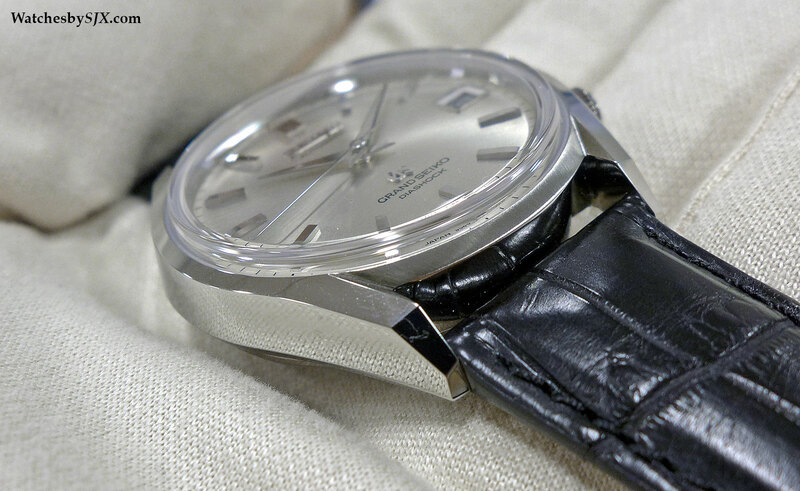 A major change is the slightly larger case, measuring 37.6 mm in diameter, about 1 mm larger than the original. This was done to accommodate a movement that’s larger than the original calibre. The most unusual aspect of the 62GS is the case design. For one, it lacks a bezel, with the box-shaped sapphire crystal sitting directly on the case. And the case has distinctive, facetted lugs. 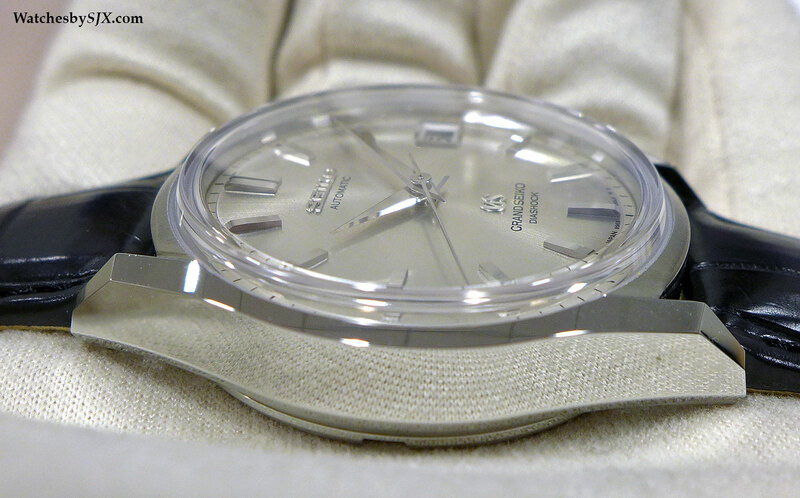 But the finishing is typical of Grand Seiko, with the case is polished with the zaratsu technique, a method of mirror polishing like that used for Japanese swords. Like the original the 62GS remake has the crown at four o’clock. 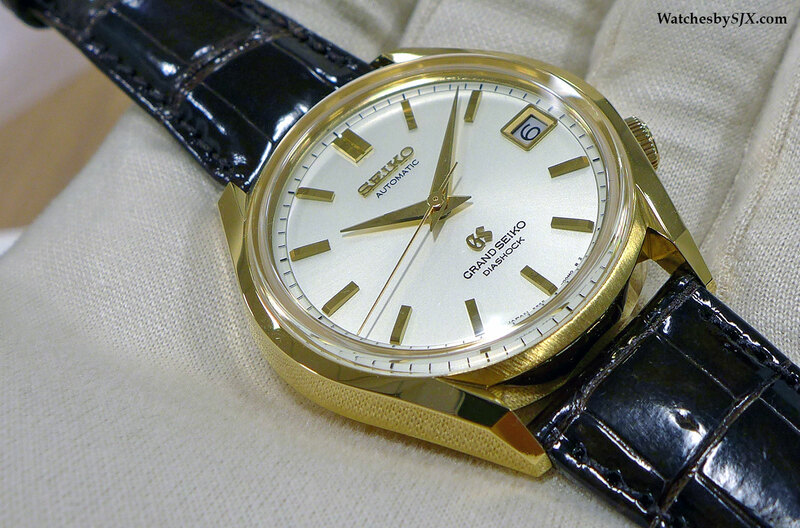 The original was designed this way to indicate it was an automatic (the first self-winding Grand Seiko in fact). Being automatic the crown was not needed on a day to day basis, hence it was made smaller and less obtrusive. 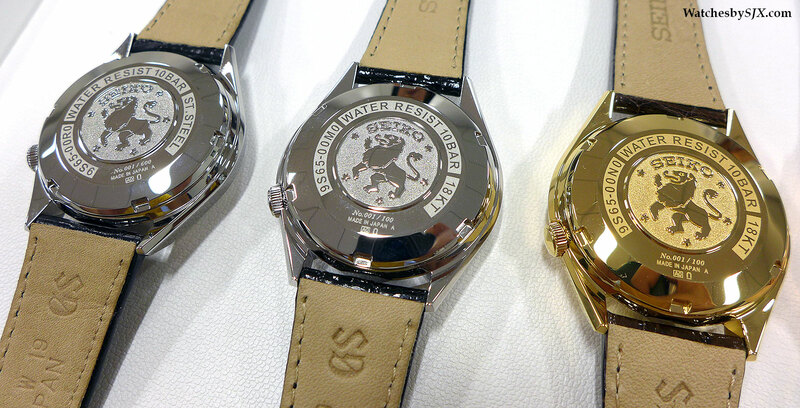 The Grand Seiko lion logo on the case back is exactly the same as it was in 1967, and slightly different from the current logo found on modern Grand Seiko watches. 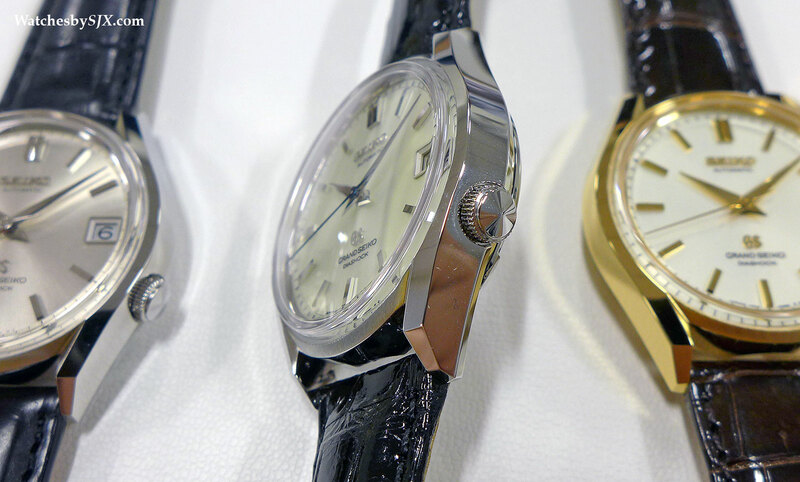 The hands and hour markers are diamond-cut, leaving them with a mirror-like finish that is found on nearly all Grand Seiko watches. This is done for aesthetics, but because they catch the light well in almost any situation, it helps improve legibility without the use of luminous material. 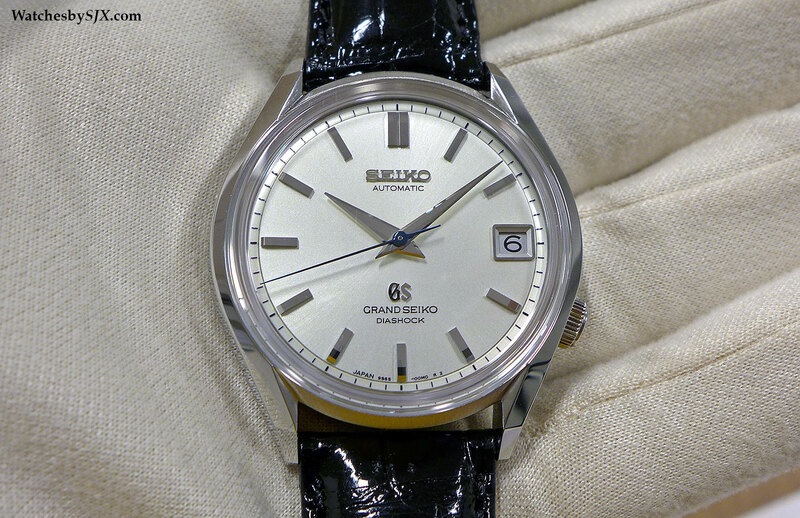 Grand Seiko’s designers rarely use Super-Luminova, because watches are more timeless without them, in their view, since Super-Luminova deteriorates over the decades. 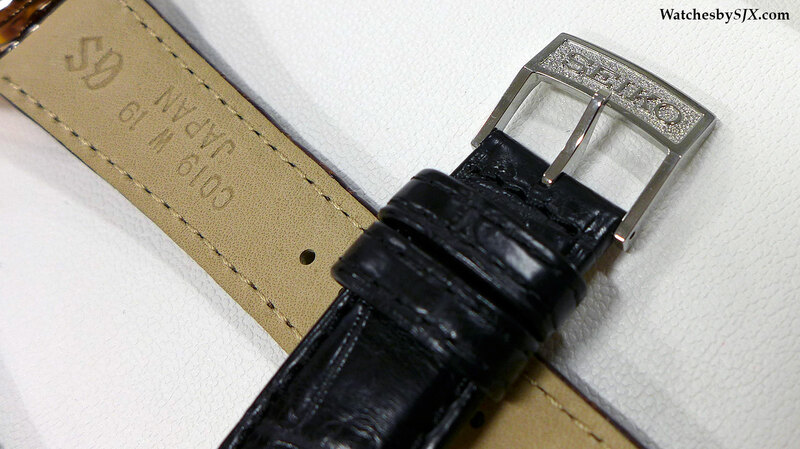 And the buckle is also vintage style, with a Seiko logo in relief. 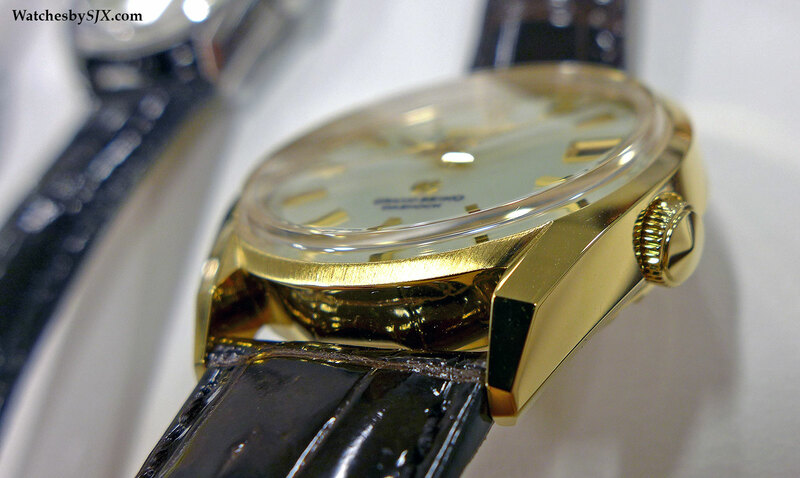 The 62GS is available in steel as well as the three colours of gold (white, yellow and rose). The steel model is the one that is closest to the original. It has a silver dial, while the white gold model can be distinguished by the whiter shade of its dial as well as the blued steel seconds hand. All are automatic and equipped with the 9S65 movement. 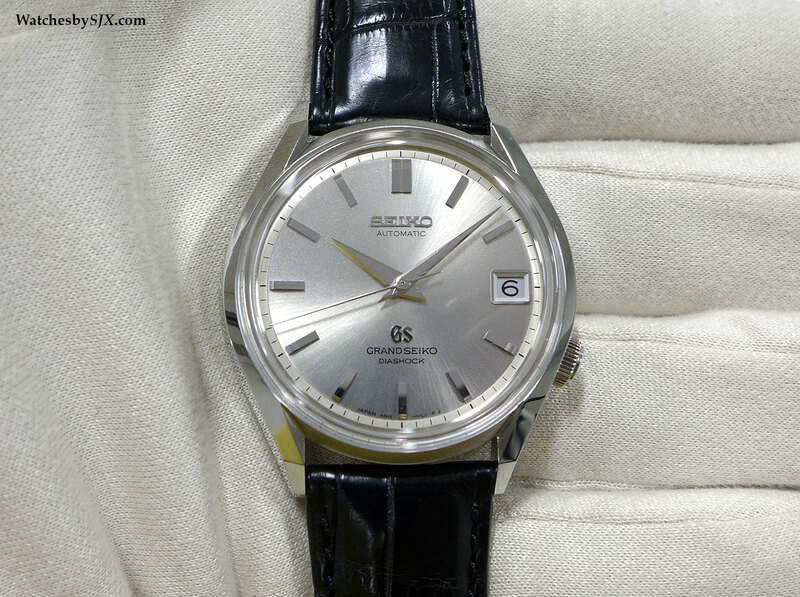 It has a three day power reserve and is rated to -3 to +5 seconds a day, which is the Grand Seiko standard for average daily rate. 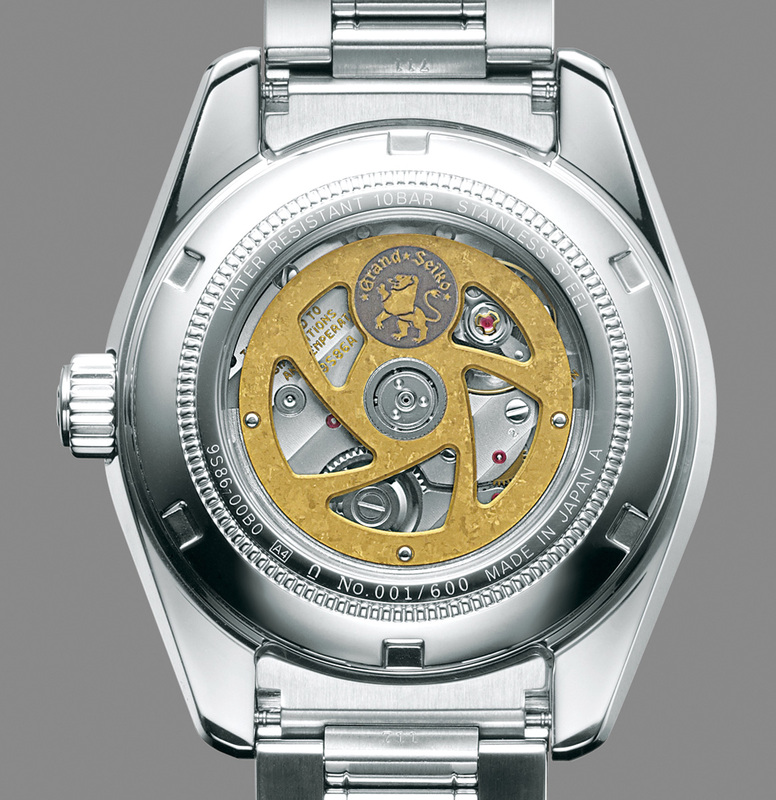 The 62GS reissue in steel (SBGR095) is limited to 600 pieces and priced at €4300. The gold models are limited to 100 pieces each. The white gold (SBGR091) is priced at €17,000, while the yellow gold (SBGR092) and rose gold (SBGR094) are priced at €16,100 each. Pricing in other currencies will be available soon. Delivery will start in June 2015.